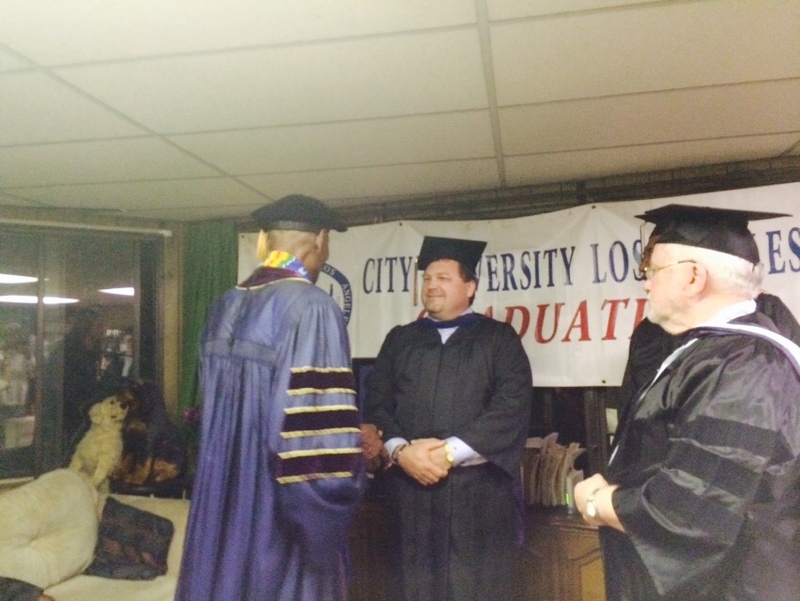 Sunday the 5th of October 2014 I had the great privilege of joining the City University of Los Angeles alumni when I was conferred by Dr Henry L.N. Anderson Ed.D., Ph.D. Dr Anderson is the Chancellor of CULA. Dr Andy as I now know him is also the author of a dozen books which I am enjoying reading very much. 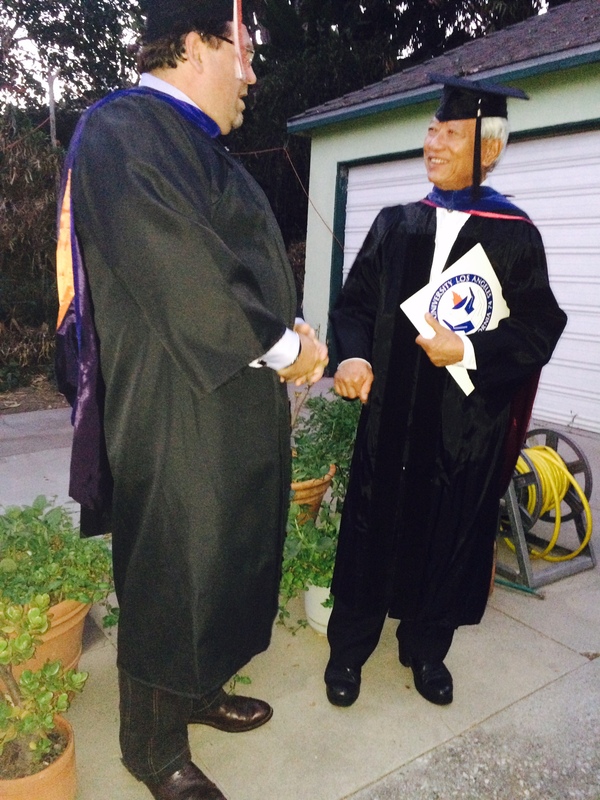 My conferral took place at the private home of Dr Anderson along with 5 other doctors from the class of 2014. 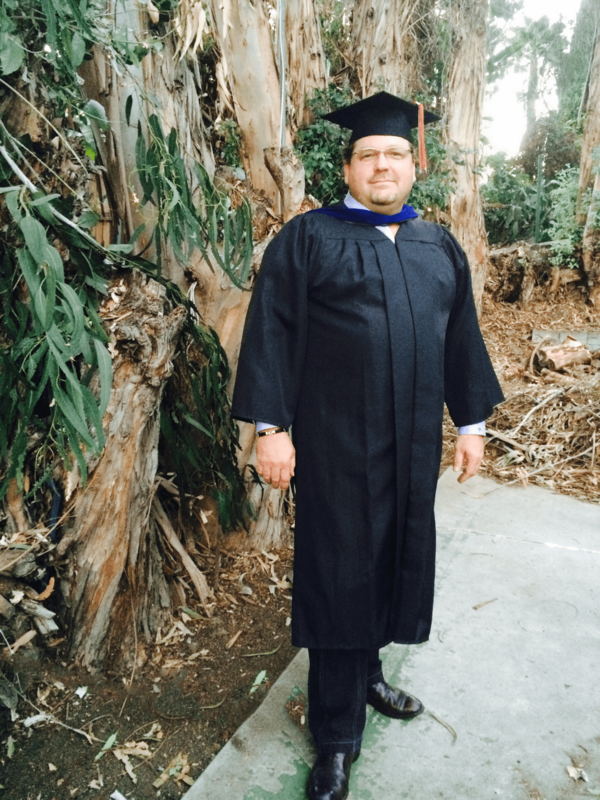 My Doctorate is an honorary DBA. 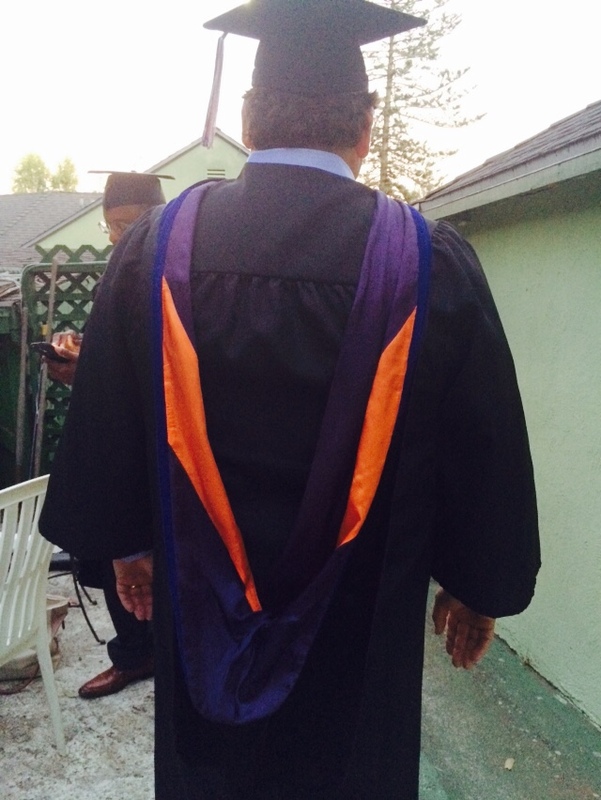 Doctor of Business Administration. I also had the pleasure of working out Sunday morning at the hotel with Dr Anderson with whom I had trouble keeping up. He is 80. A humbling experience indeed. 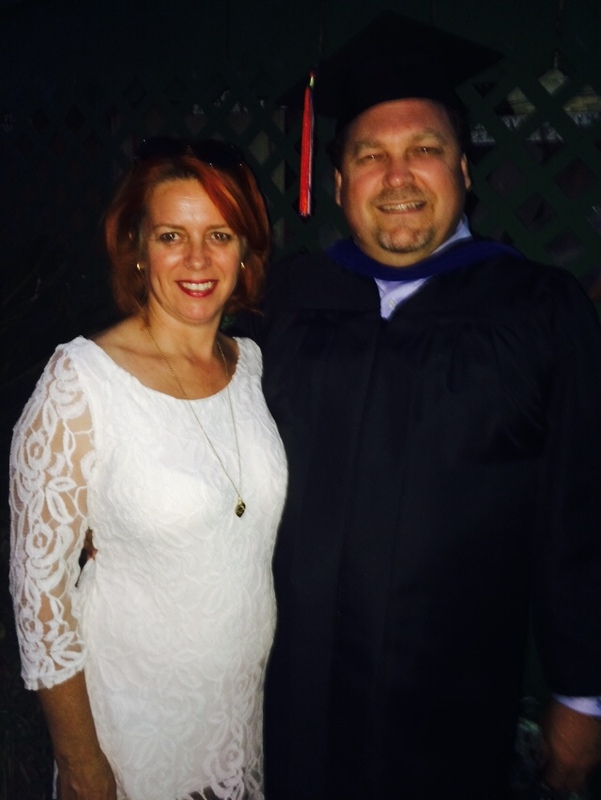 CULA is a fascinating and eclectic family and I am honored to be considered one of them. Very impressive Simon. A satisfying achievement, no doubt. Much good fortune and well wishes for the future. 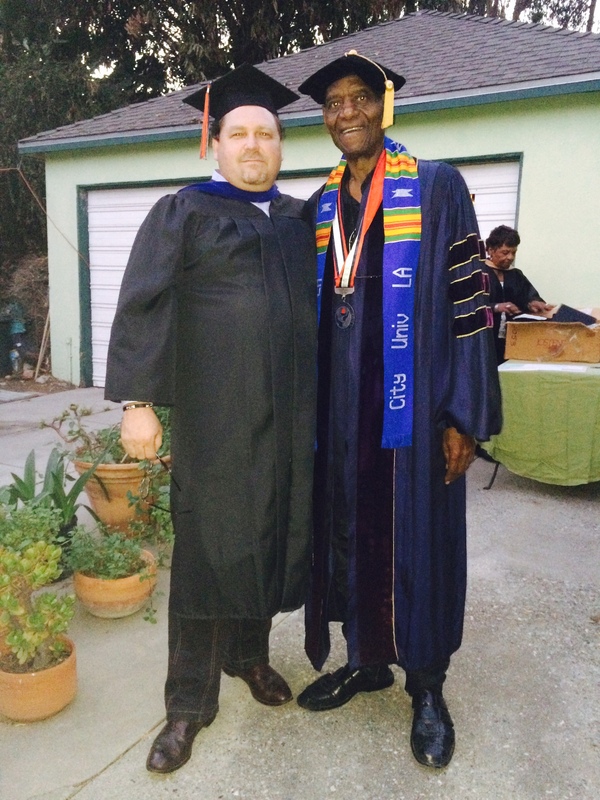 , Wow, that is really excellent news and it is a great big deal to be awarded an honorary doctorate. City University is definitely lucky to have you as an example of what luck, hutzpah and a good education can do to improve society.